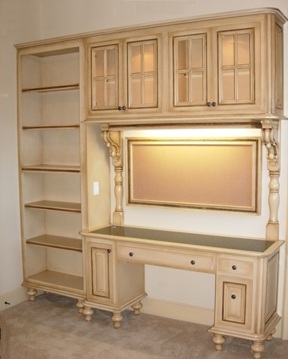 At North Texas Woodworks we specialize in building custom cabinetry and furniture for all areas of your home. Since 2001 we have built a reputation for high quality, fair priced, exceptionally crafted woodwork. In kitchens, bathrooms, bedrooms, home offices, libraries, garages and more, we have helped homeowners turn the bland, cluttered or ackward spaces in their homes into areas that are both beautiful and functional with the warmth of all real woods and a touch of old-world craftsmanship and attention to detail. little about us and give us a call.